Find below accommodation and transport links for your convenience. Please note: There is a high demand for accommodation this weekend due to the Ballarat Begonia Festival and so we recommend that you book early. Players are requested to make their own arrangements for accommodation. Anyone intending to make a booking should do so as early as possible since the long weekend is a very busy period in Ballarat and it could be difficult to obtain a room if no advance arrangement is made. 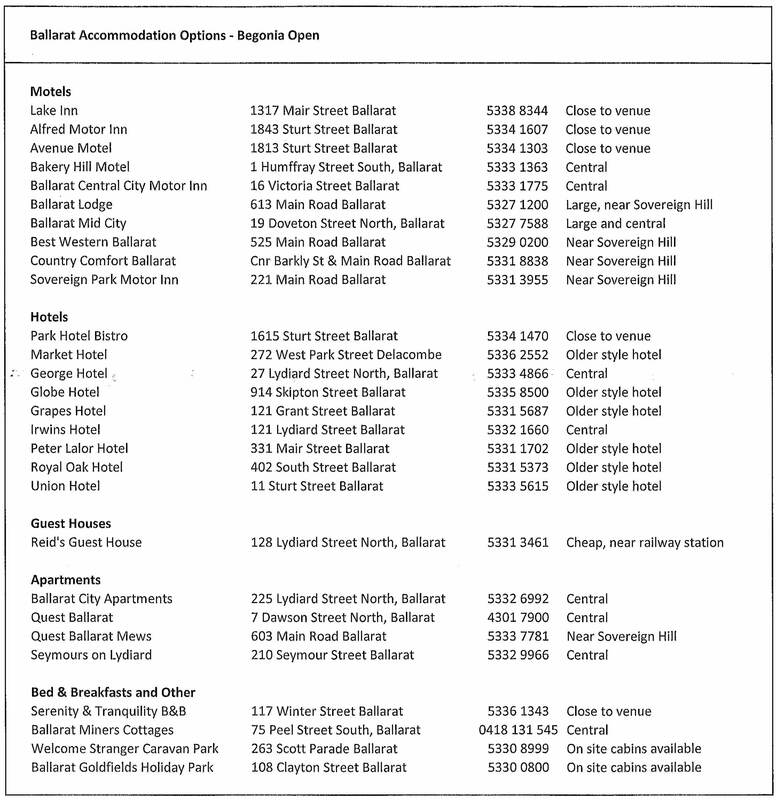 The ballarat.com website contains comprehensive details on accommodation options and tourism information.